At Andivi we believe that every building is an opportunity to save energy with intelligent building automation. We understand building automation as the building’s central brain. Like the brain in a human’s body is responsible for coordinating, controlling & monitoring the entire body, a building’s automation system is responsible to manage all the buildings functions. From HVAC to Lighting, from efficient energy saving to responsible energy management. From midnight to midnight to midnight. Every Day. 365 days a year. Andivi was established in 2011 by a group of enthusiastic electrical and mechanical engineers. In the last 5 years Andivi has grown from producing only thermostats & room controllers to a company with a significant larger portfolio of building automation products. A variety of different sensors: temperature sensors, active temperature sensors, humidity sensors, CO2/air quality sensors, pressure sensors, motion / light sensors, flow sensors. We hope the new product will help you cover every aspect of your building automation needs. Focusing on the non-residential sector, we are continuing to cover automation needs for: hotels, corporate & office buildings, condominiums, public buildings, industries, healthcare facilities, wellness facilities. Furthermore, we are able to adjust our automation solutions and tailor them to project specific demands – according to our customers needs. So do not hesitate to contact us if you have a challenging idea in mind. We work with integrators and investors / end-clients. For integrators: we provide you with all the support needed to integrate Andivi products into your clients projects. This way you will be able to complete full automation setups completely independent. For investors we provide an all-in-one solution. This starts with sustainable consulting in the concept phase of your building and continues with automation engineering, planning and final execution. Including providing the necessary automation equipment to finish installation and setting up the entire system. 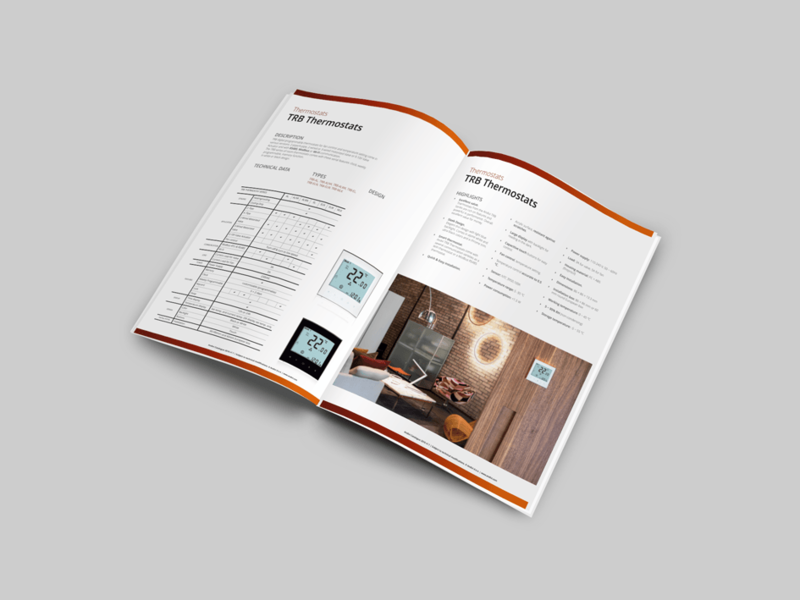 In the beginning of 2016, it is also a great pleasure to introduce our new Andivi Product & Solutions Catalogue 2016. Here you will find all the information about the products and their technical specifications as well as building automation solutions, that we are ready to implement in your projects. 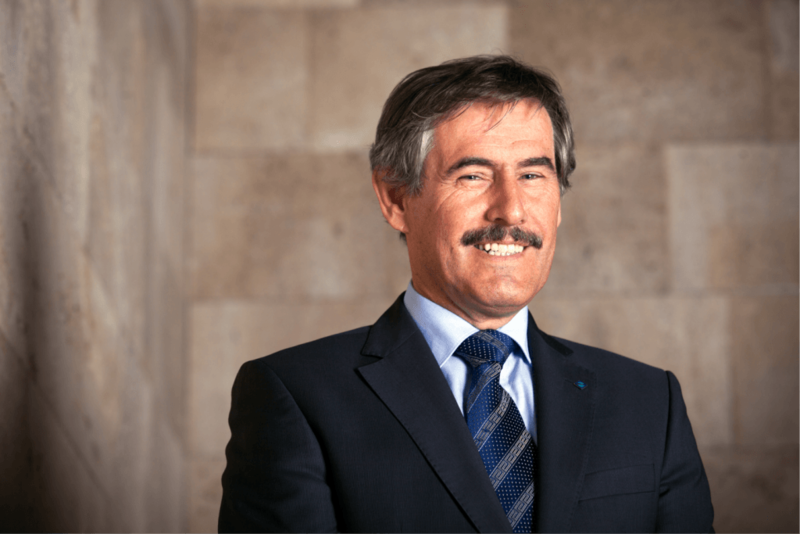 At the end, a promise to our customers and partners, we will innovate. At Andivi, we are privileged to welcome ambitious clients with daring projects and a passion for energy efficient automation. Welcome to our joint Future! P.S. 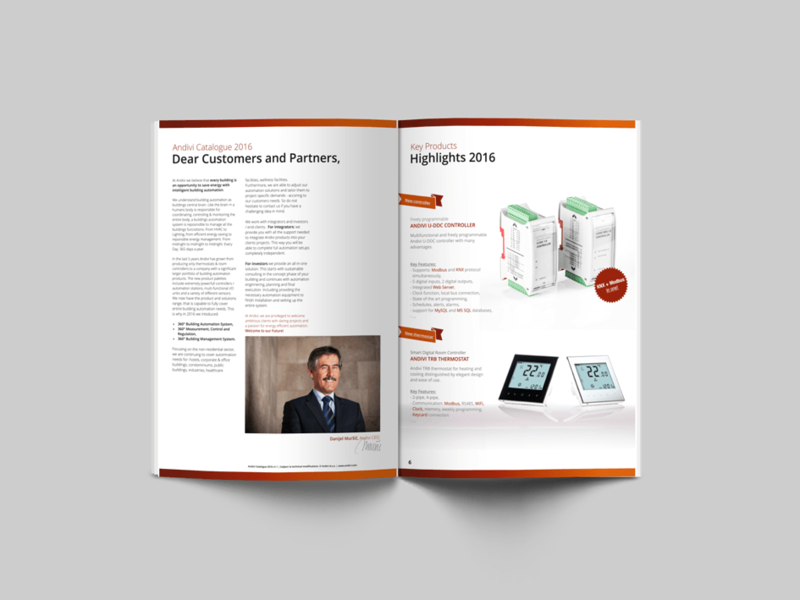 : You can download a copy of the new Andivi Product & Solutions Catalogue 2016 or order a print copy that will be shipped to you at info@andivi.com. PreviousPrevious post:Andivi izobraževalni Demo panel digitalne regulacijeNextNext post:Hotel: What Thermostats Can Learn from Towels?